To prevent against tooth decay and gum disease, you maintain your oral hygiene habits at home and visit your dentist in Hillsboro twice a year, but did you know that there may be another threat lingering in your mouth? 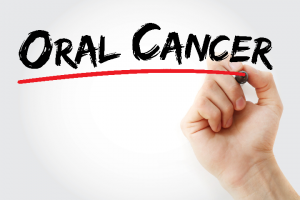 Over 49,000 Americans are diagnosed with oral cancer every year. Unfortunately, those who develop it have a little over a 50% 5-year survival rate. All too often, the cancer goes undetected and undiagnosed until it has reached the advanced stages or metastasized to other areas of your body. To help promote early detection, it is best to learn your risk factors for oral cancer and to undergo a regular screening.